Andy Cohen proclaims Countess Luann highest grossing performer at Feinstein's/54 below. 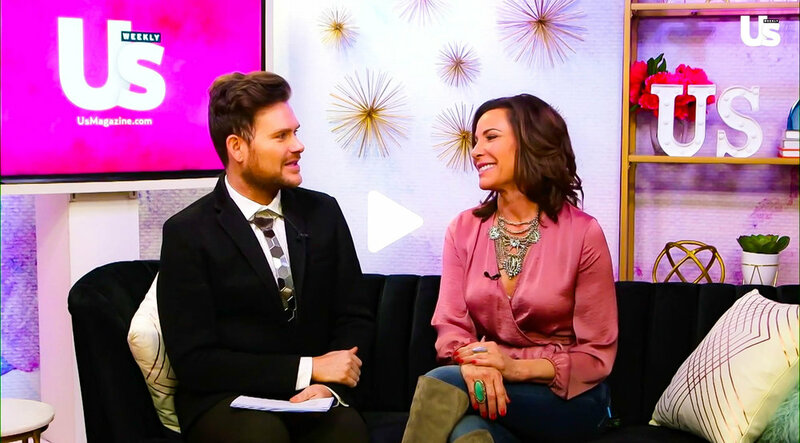 Countess Luann talks Season 11, cabaret and jewelry line! Tyler Perry! Watch RHONY’s Luann de Lesseps Read Tyler Perry Quotes After Dorinda Medley Text Drama. Just 10 days after leaving rehab for the second time, “The Real Housewives of New York City” star Luann de Lesseps sits down with Megyn Kelly to detail her relapse, her move to upstate New York as a commitment to her sobriety and why she won’t appear on the “Housewives” reunion episode. New York Housewives and their daughters talk about love, life and Mamma Mia: Here We Go Again. “Real Housewives Of New York” star Luann de Lesseps isn’t letting her run-in with the law get in the way of her new cabaret show as she tells ET Canada audiences can expect to see her famous friends join her on stage. The reality television star now hosts a cabaret show in her native New York City, borne, she says, from her love for stars like Carol Burnett. '[It comes from] My love affair with variety – really, like the days of Carol Burnett,' she revealed. Luann de Lesseps: I’m Working With the Best in the Business. Countess Luann de Lesseps, actress Natalie Martinez and singer Keri Hilson decide- how fast is too fast? The young clairvoyant makes contact with "The Real Housewives of New York City" star's late friend who suffered in silence. Bethenny Frankel, Luann de Lesseps and Ramona Singer, three of "The Real Housewives of New York City," join Megyn Kelly TODAY to talk about their reality series. Are they friends, Megyn asks - or frenemies? "Combination," Singer says. Frankel says she "will probably come back" for another season of the show. The RHONY performer opens up about life after she quit drinking. 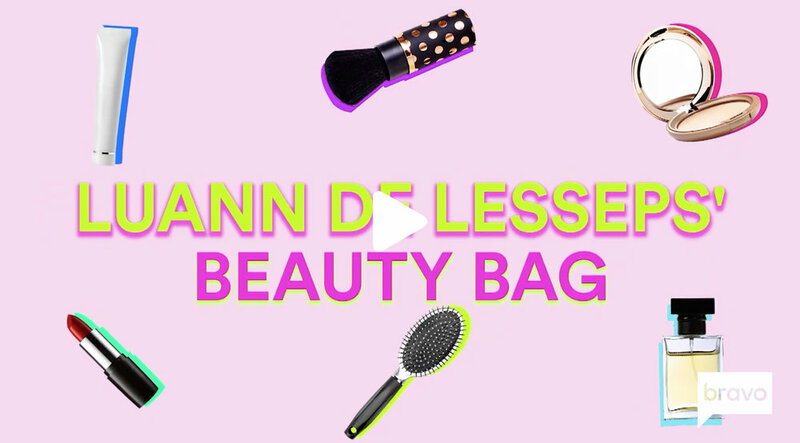 Luann de Lesseps, The Real Housewives of New York City cast member shows us the beauty products she always totes around. KTLA - Catch "The Real Housewives of New York City" Wednesdays at 9 p.m. on Bravo. And catch Luann for her cabaret show "Countess and Friends". ET caught up with the most regal housewife of all, ahead of the premiere of 'The Real Housewives of New York' season 10 on April 4. "Extra's" AJ Calloway spoke to "The Real Housewives of New York's" Luann de Lesseps today about what her life is like following her widely publicized arrest for disorderly intoxication in December, followed by a stint in rehab. Luann de Lesseps from #RHONY performs her hit "Money Can't Buy You Class" in the Los Angeles Clubhouse at the Wiltern Theatre and all of the surprise guests dance along. Luann de Lesseps‘ heart may be in New York City, but she sure loves the Southern California sun. De Lesseps, 52, stripped down to a white-hot string bikini Tuesday, when she shook her fit “yoga body” for cameras. Luann and Sonja perform "Money Can't Buy You Class" at Feinstein's/54 Below in New York City on Tuesday, February 27. Actress Jennifer Lawrence is on the verge of tears of joy when she shares some wine and chats with Luann de Lesseps and Bethenny Frankel from #RHONY in the Clubhouse. Luann de Lesseps opens up about her divorce, love life and gives some "Housewives" dish! The "RHONY" stars tell how they'll get into the festive season and Luann shares her 2018 New Year's Eve plans--and a wedding is involved! Luann De Lesseps from #RHONY tells Andy Cohen why it seemed that she was always defending her ex Tom D'Agostino on the show and she's asked if she harbors any anger toward Tom for his actions. Did Ramona try to date Luann's fiance Tom? The "RHONY" star spills the tea on all the "Housewives" including Bethenny's divorce and more! The "Real Housewives" star opens up about her past acting career in Italy and more. Get the scoop on Luann's "Before They Were Housewives" special! See where Luann D'Agostino is living these days. Watch new episodes of The Real Housewives of New York City, premiering April 4th at 9/8c, only on Bravo! Luann de Lesseps (original cast member of Bravo's hit TV show The Real Housewives of New York) was compelled to become a Red Cross volunteer to help with the relief efforts in Florida after Hurricane Irma. Andy Cohen shows a video mashup of how prim and proper Countess Luann de Lesseps was in season one of #RHONY and how much she's changed this season! Take a look inside Luanne de Lesseps' closet. Complete with lit bars to light your clothing, this closet is picture perfect. Open House showcases the hottest homes on the market, interior design tips from the experts and everything you need to know about stylish living. Hosted by Luann D'Agostino! This is your real estate, renovation and design destination. LuAnn de Lesseps joins Arthur Kade at the Sherri Hill Show during NYFW.